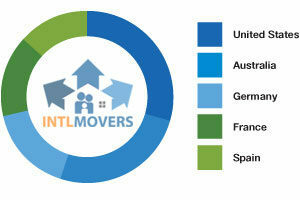 European Removal Companies - Compare Movers & Save up to 70% ! Moves to or from Europe can be made stress free when you use European removal companies to help you with your move. They will help provide you with handy removal assistance and tips. They use a number of effective techniques to ensure an efficient and safe transfer of your personal and business goods from your old to your new location. Requesting free quotes is quick, easy and completely obligation free with www.intlmovers.com. Simply select where your removal is FROM and TO, and you can obtain up to 6 quotes from European removal companies. It will save you time and money, so there is nothing to lose! No matter where you are moving there are different rules and requirements for customs regulations and paperwork across all countries. Ensuring that your goods arrive on schedule and in good condition is just a part of the removal company‘s service. They also manage the back end processes to ensure that there are no issues throughout the removal process.